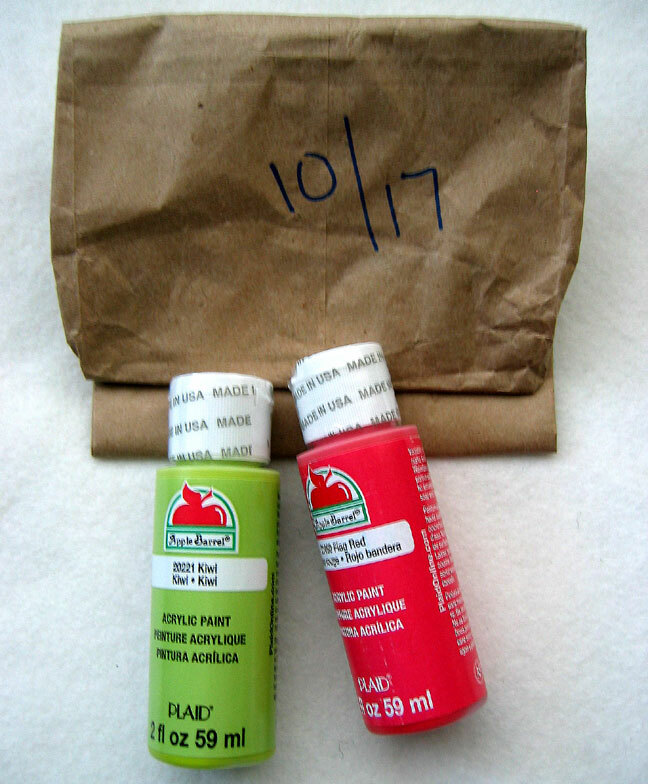 Two bottles of paint. Perfect colors for some Christmas painting. 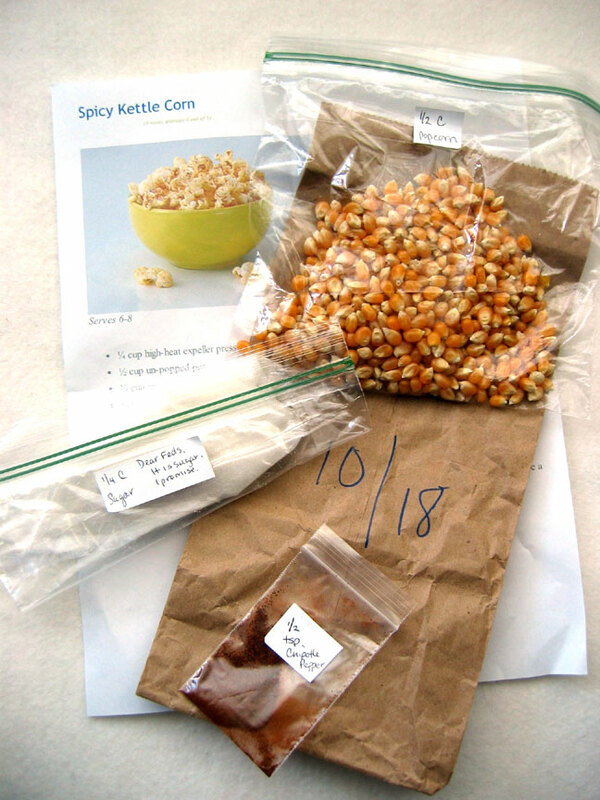 Spicy Kettle Corn with all the ingredients. I love kettle corn and this spicy mix will hit the spot. 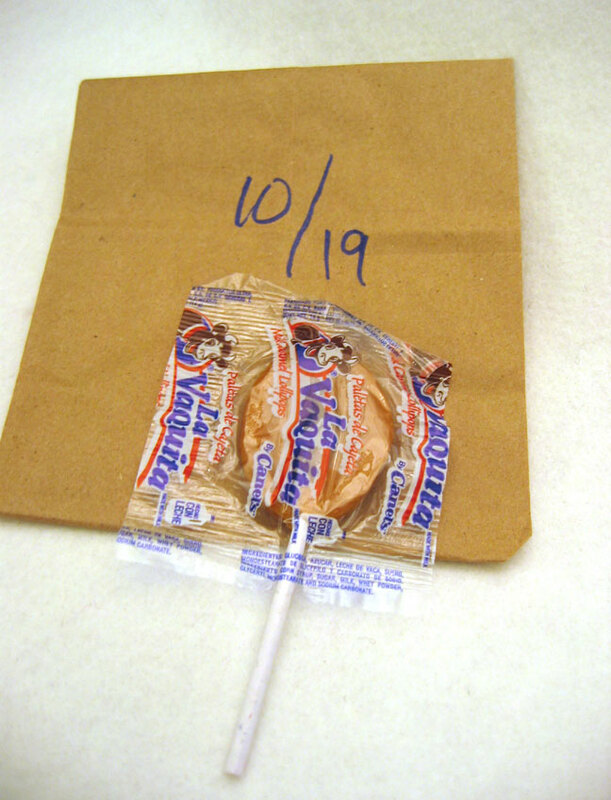 Vanilla Caramel lollipop. Caramel – need I say more? 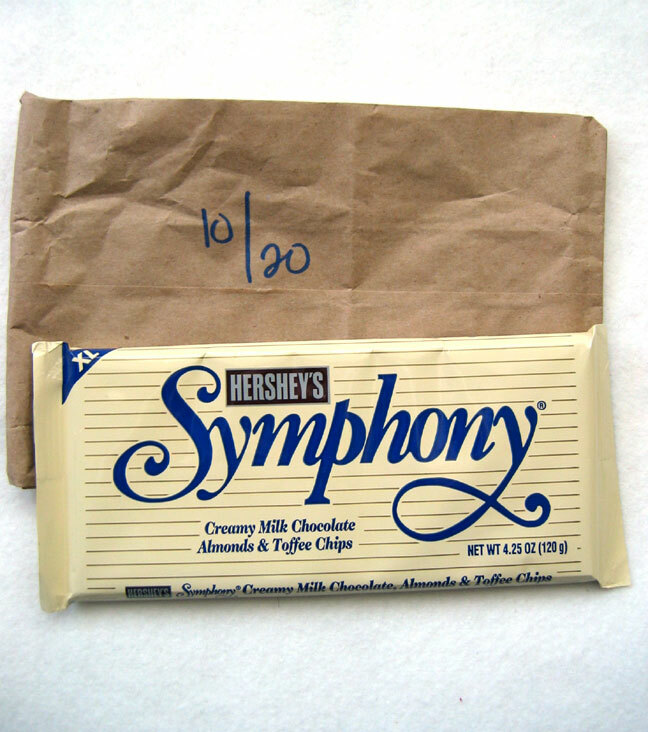 Symphony Bar with almonds and toffee. I have no control when it comes to chocolate and toffee. Add in some almonds and there will be no stopping me. I know I will eat this entire bar at one time. Colorful ribbon. Nine yards of beauty! 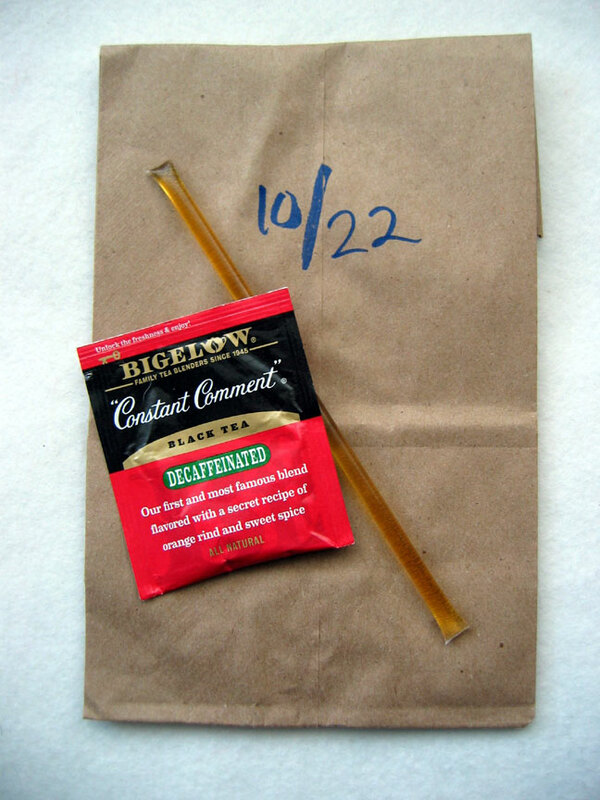 Constant Comment tea and honey stick. A favorite of mine. 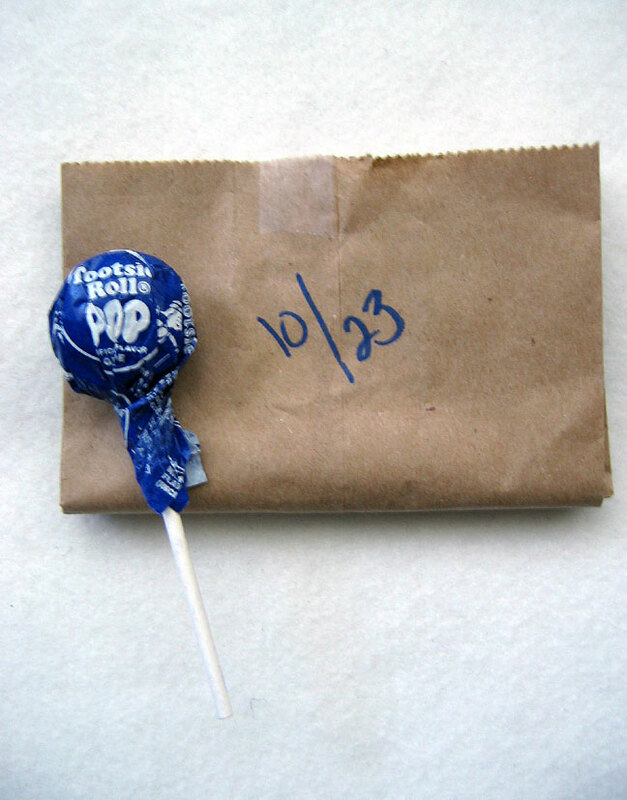 Grape Tootsie Pop™. Yummy, yum, yum. Only four more days of goodies. I’m so spoiled. 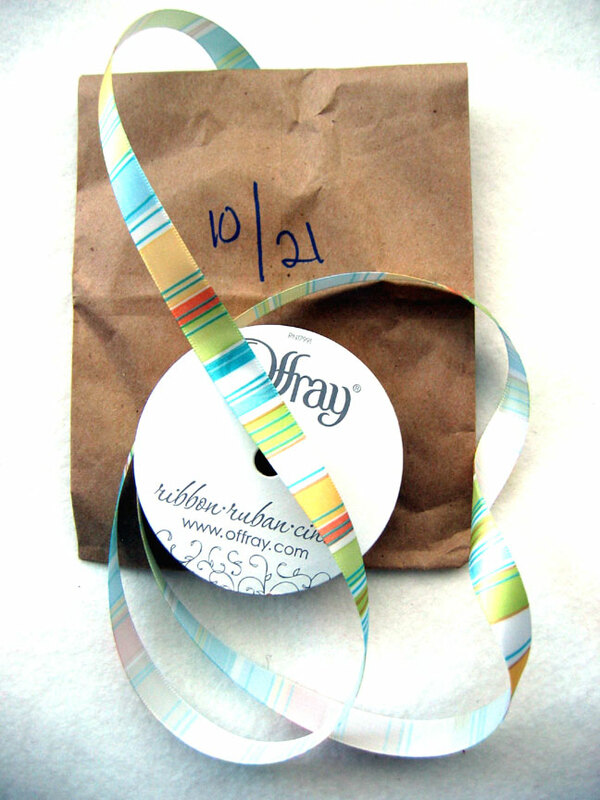 This entry was posted in birthday wishes and tagged birthday wishes, gifts, presents by Patti_is_knittinginflashes. Bookmark the permalink.